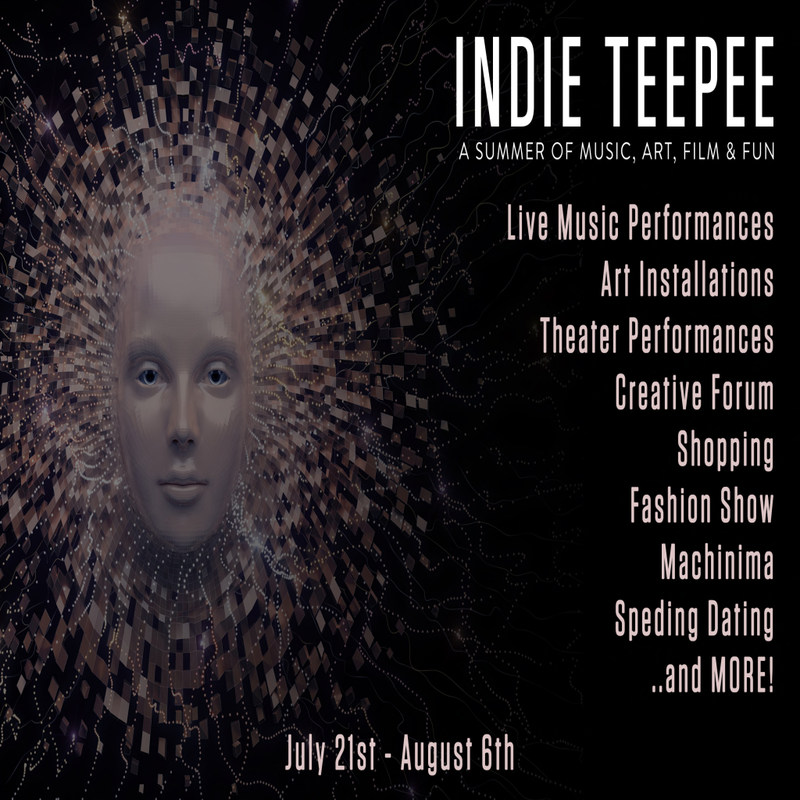 Indie Teepee Is Opening Soon!! Dates: July 21st through August 6th!! Check out my blog post HERE for more info and links. First event is July 21st form noon to 4pm SLT! We’re kicking off the festival with the DJs from AAi playing from noon to 4PM SLT on the ARID Stage (Stage 1)! AAi – An Alternative Indie Club opened its tube to visitors in Spring 2009 and hasn’t closed since. We have one special and unique DJ per day in UK/Euro hours, each with their own ideas on indie and lovely little digressions into other genres. It’s a friendly club with plenty going on in chat, and as well as having a Secret Garden it has a few other secrets to discover. 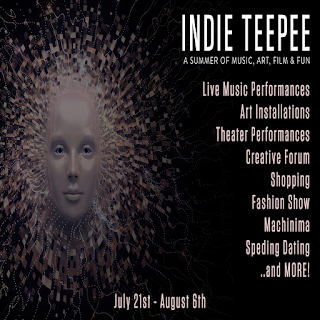 Featured DJs at Indie Teepee are Thom, Iain, Kess and Chris. Join us for the start of this amazing festival of art, music, and fun!